The city has got you covered when it comes to finding the perfect neighborhoods to relax and unwind, whether it be the neighborhood bar of Vin Sur Vingt uptown or The Ten Bells downtown. However, when it comes to choosing only the best glass of wine, it's best to leave that to the experts at the following wine bars. By specializing in wine, each of these bars can provide and recommend you to a long wine list filled with notes and flavors to complement the kind of evening you'd like to have. There's no need for feeling intimidated by the setting since even with a limited knowledge of wine, everyone knows how to enjoy it while it lasts. With an interior design by Dorothee Meilichzon, as featured in Meet the Makers, Compagnie Des Vins Surnaturels in Little Italy provides customers with a sleek and intimate setting fit for an evening with friends. Meilichzon told us that she designs a place with the customer and location's background and story in mind, which makes for a comfortable time for any New Yorker. NYC passerby, Molly Surno, picked this spot as her designated restaurant to splurge exclusively on food and wine. 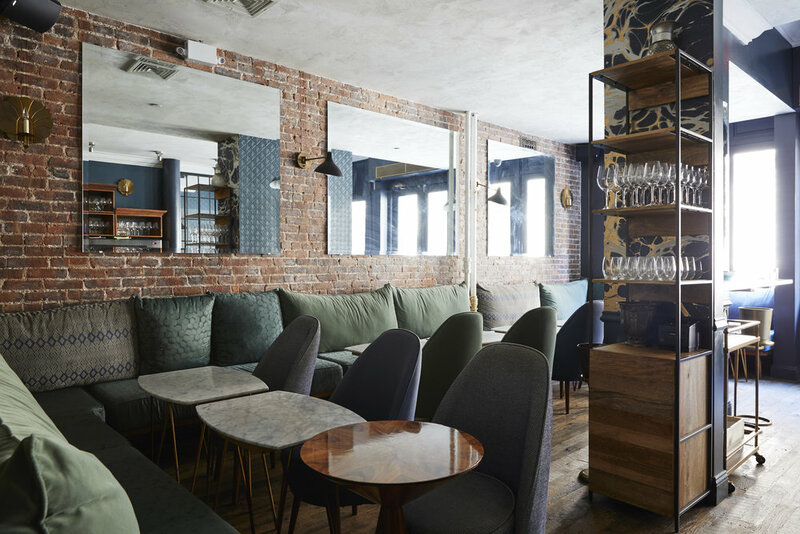 Located in the heart of Williamsburg and founded by James Murphy of LCD Soundsystem, this wine bar is as close to the new generation of a modern New York as you can get. Not just a place for fine wine but good music, Heba Kadry, a self-proclaimed "shameless shazam-er," knows Achilles Heel to be the spot where her favorite DJs spin in Brooklyn. Located in a quaint corner tavern, Beverly Nguyen chose this as her ideal spot for blind dates. Serving 16 wines on tap, chances are that you will find your favorite glass of wine at Lois. This wine bar prides itself in reducing waste and keeping prices low just by serving on tap by making sure every drop in your wine glass is fresh. Natural wine has been making its way through the wine world as the latest trend, and June is the place in Brooklyn to try it. Well, what is natural wine? NPR reported that while modern winemakers use additives, natural winemakers add nothing and let it develop flavors on its own, which may taste rough to the first-timer. June, however, has got you covered. 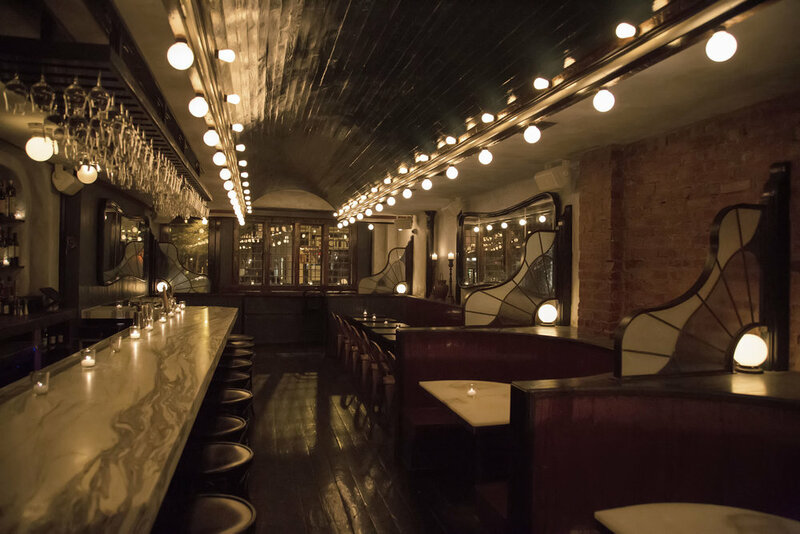 While the crowded bars of the Lower East Side may be off-putting to a sophisticated wine drinker, The Ten Bells allows for an escape within the neighborhood by offering a long list of organic wine and tapas. Despite being a large and open space, the dim lighting provides for an intimate setting to order a glass and then maybe another. With multiple locations in Manhattan, Vin Sur Vingt is the so-called "wine-lover's den" while focusing on simplicity and value. While it claims to be everyone's neighborhood wine bar, Vin Sur Vingt was created to imitate a French bar with a rotating menu of wine from different regions of France. It may seem like a restaurant, but like all great secrets, the best part is downstairs in the Wine Room. Their "subterranean wine room" was made for customers who would like to be transported to an Italian wine cellar with its hardwood benches and communal laundry tables. As its manager, even NYC passerby, Beata, recommends this place for some "subterraneous drinks."